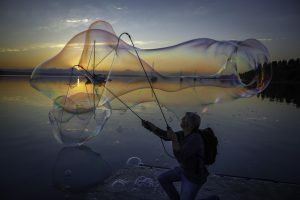 WLM resident photographer David Welton is out and about every weekend shooting the cultural life of Whidbey Island. Here are the spoils from his jaunt through the Clinton Thursday Market, which happens from 3:30 to 7 p.m. Thursdays through Aug. 29. The open-air market is just up the hill from the Clinton Ferry Dock at 6315 Storkson Drive at Clinton Square and features local artists, craftspeople, local services, food, music and fun. A free bus to the market is available from the ferry dock. Take a look at what some of the vendors have to offer! 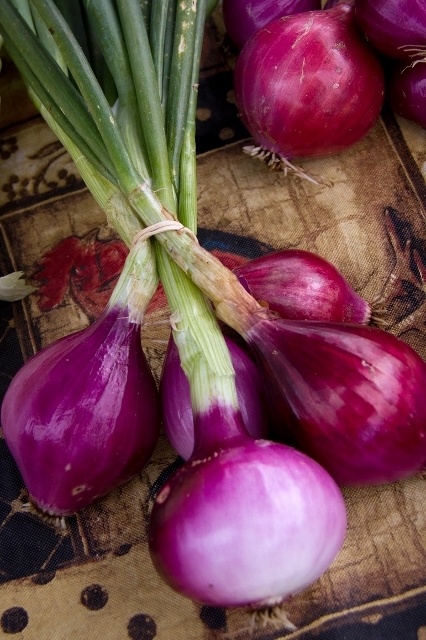 Red onions from Full Cycle Farm. 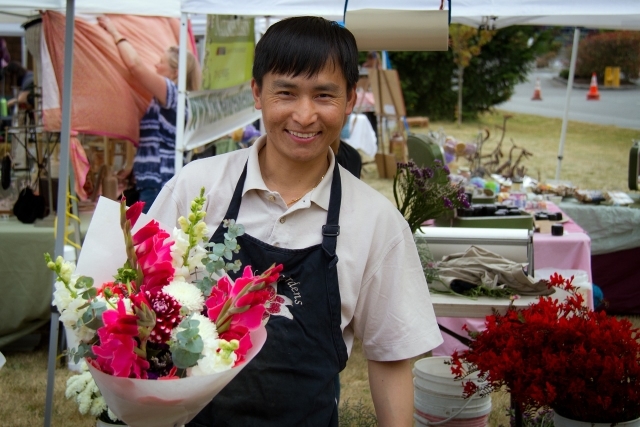 Chai Lor sells flowers at the market from Bao Lor Garden. Reece Rose sells freeze dried food and survival gear in the event of a tsunami or earthquake. Here she is stirring up some instant corn chowder. Brenda Martin crafts art from seashells. 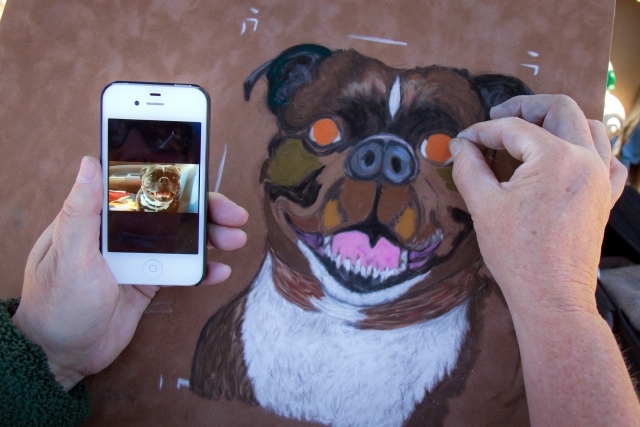 Susan Jensen makes character studies of clients’ pets, sometimes with help from digital photos on her phone. 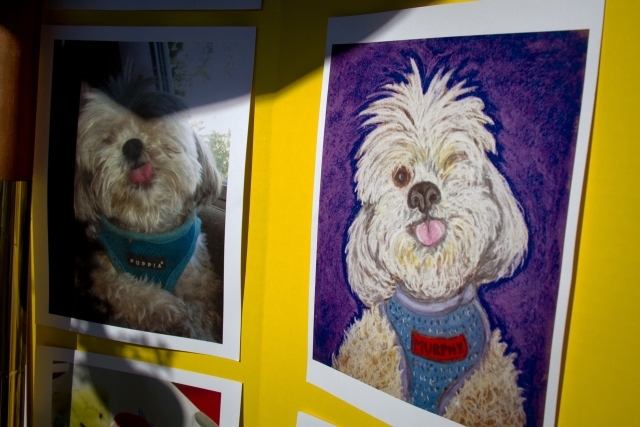 More pet portraits by Susan Jensen. 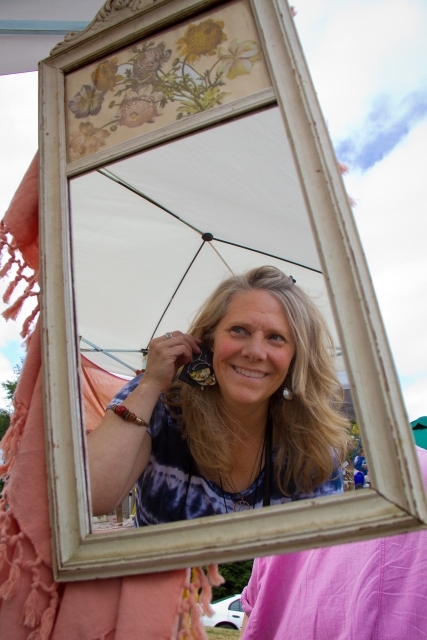 Marsha Sloan sells jewelry and other sundry at High Meadow Creations. 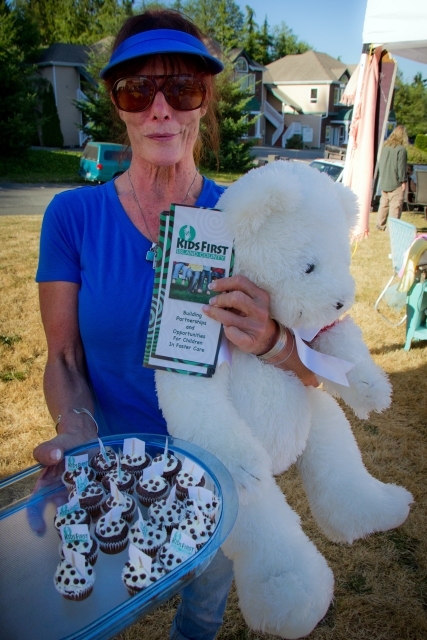 Patti Carol does her part at Kids First to help foster children. 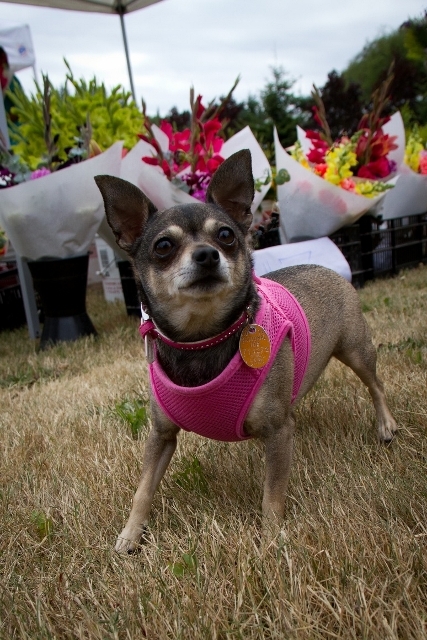 Plenty of dogs make their way around the market place, even some well-dressed tykes like this sweet girl. 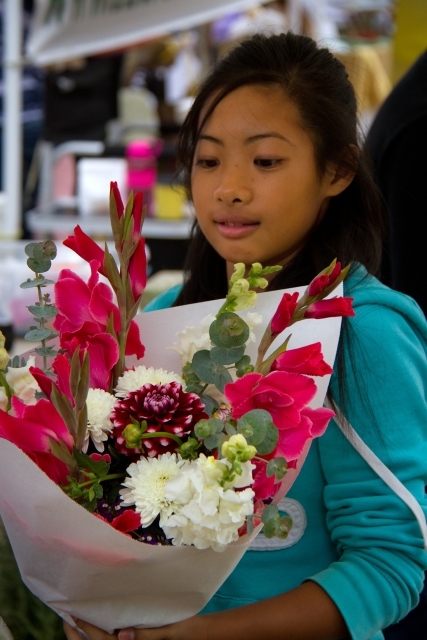 Kirsten Lor keeps the flowers flowing to customers. Become a Clinton Thursday Market volunteer by contacting clintonthursdaymarket@gmail.com or visit here. 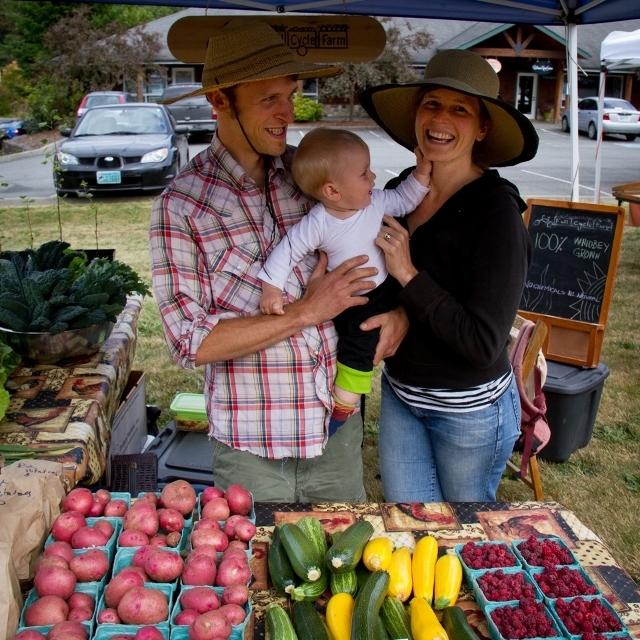 The Clinton Thursday Market is a member of Whidbey Life Magazine. 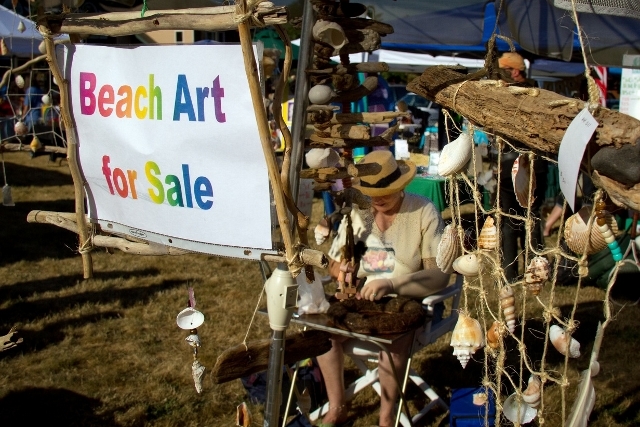 There is so much to do, see, hear and taste on Whidbey Island. Member-supported Whidbey Life Magazine strives to keep everybody informed about all that’s happening on the island. Become a member and get featured on our pages, along with being able to post events on the Island County syndicated calendar and to post news about any of endeavors you may want folks to know about. Get featured. It’s inexpensive and easy! 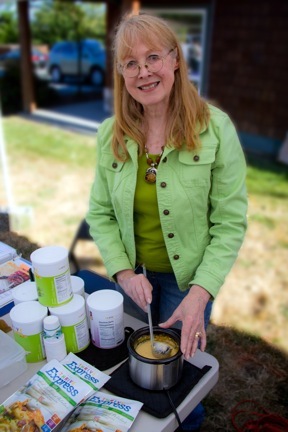 Take a look at the membership page and see how Whidbey Life Magazine can promote you.